Product Description: Color-intense, super-fine pigments in a rainbow of shades. Try a little for a sheer wash of color, or layer for bold, shimmering hues. The spill-proof tube even includes a high-quality brush. These powdery-fine, silky soft shadows deliver more intense color than pressed or cream eye shadows. With everything from bold brights to pretty neutrals, there's something for everyone! The 5 loose pigments that I thought I'd get the most use out of were Gunmetal, X, Rockstar, Asphyxia, and Smog. They still do have 3 available on the site for only a $1 originally $20. These were such a steal I couldn't resist. I'm just crossing my fingers that these aren't as messy as Mac pigments because I don't get much use out of them considering how messy they can get. 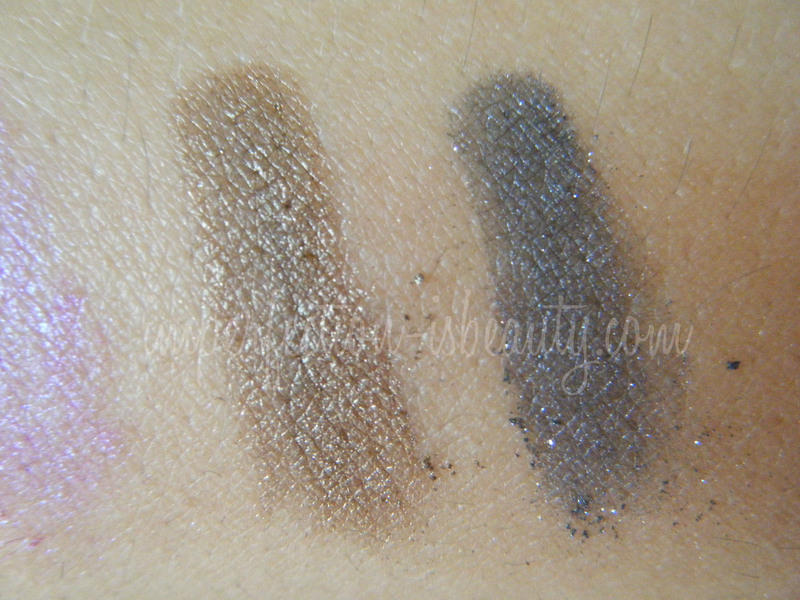 Two look as if they have a little glitter in them, as the rest are very sheer, all are very pigmented. Gunmetal: Is a gorgeous silver grey great for smokey eyes. I probably will get the most use out of this one personally. Asphyxia: Is a light pinkish fuchsia color with a an iridescent glow. This color is absolutely stunning. Rockstar: Is a very pretty dark blueish purple with a little pop of glitter. X: Is a light gold color with a touch of silver to it. Smog: Is another favorite of mine. Its dark shimmery brownish copper color. 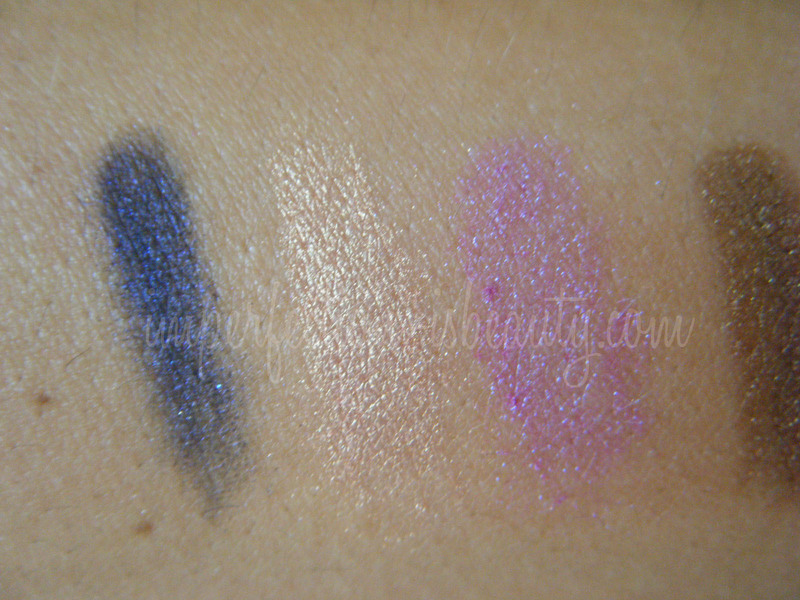 As you can see these are very pigmented. I didn't use a primer when swatching these so I could imagine these looking even more vibrant if used with one. The brush could get a little messy, and the pigment tends to stick to the applicator which could be a total mess. I'm not sure how much use I could get out of these, but for $1 they're totally worth it in my opinion. Their are mixed reviews about this product, the main concern is the applicator brush which I can totally see. For the price I can't complain to much, and until I really get to use them I couldn't tell you how much I love it or hate it yet. I'm sure I'll be doing a FOTD in the next week or so with these once I get to play around with them. Do you have these? What do you think of pigments? 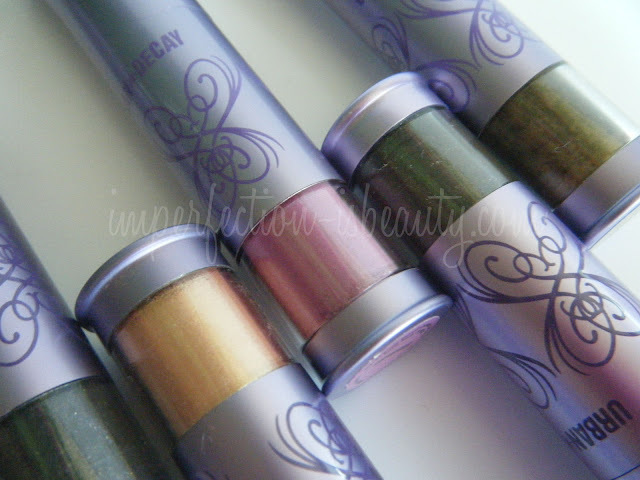 i have never tried pigments, but really want to try them out.. nice shades! Very pretty! These were on sale awhile ago on UD site and I called my friend who loves UD to tell her to buy all of them, she did and she LOVESSSSS them!!! Very pretty! 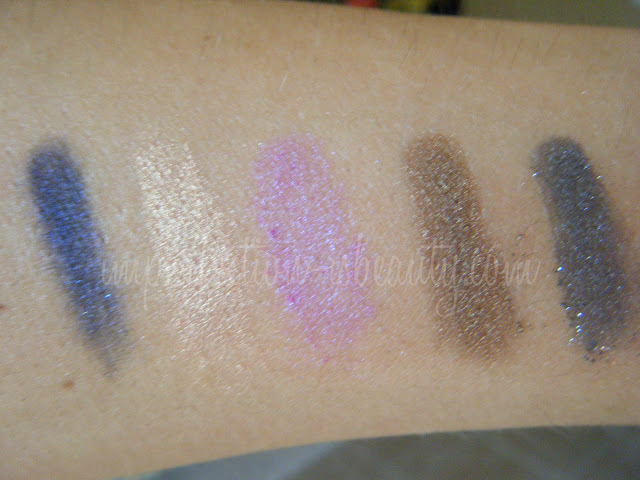 !And havent try them!thanks for the review and swatches doll! !Cant wait for the fotd!! Great swatches. Rockstar is such a gorgeous blue. i picked up 8 of them during the sale too! the cream color one looks gorgeous! I have been wanting to try loose pigments so when I heard they were only a dollar I couldnt pass it up. I am still waiting it to get here though. Sooo pretty! I NEED these :) I'll definitely be looking these up. And girl, you are GORGEOUS! Asphyxia looks the prettiest imo, and I love the name! 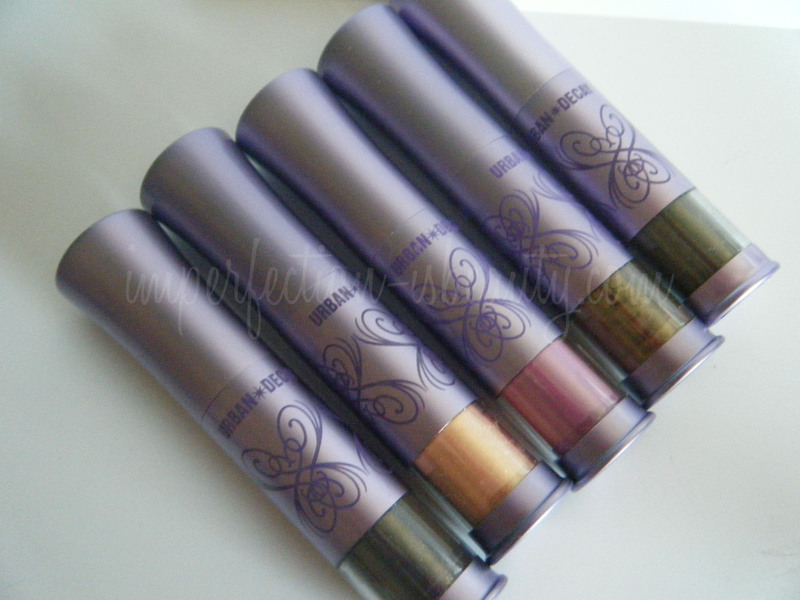 OMG you got these pigments for so cheap...amazing!